A nice game with animation to show how division works. Get in to the world cup and practise your division skills to help your team. 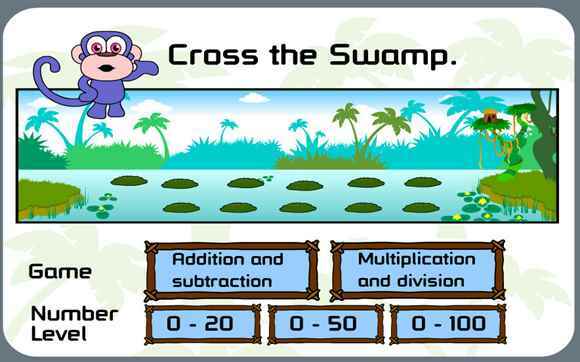 Help Monkey cross the swamp by answering division questions. Race your car using your division skills. A great game to help with division.